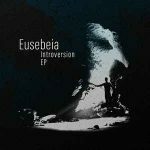 Background/Info: Set up in 1999 by Mathias Josefson, Moljebka Pvlse has released an impressive number of productions working with different labels (such as Eibon Records, Cold Meat Industry, Ur Muzik, Divine Comedy Records, Isoramara ao). Both last albums were released on Reverse Alignment. Content: The sound formula created by Moljebka Pvlse hasn’t really changed during the years. It remains a dark and obscure soundscape composed with electronic- and authentic, acoustic instruments plus the injection of field recordings. 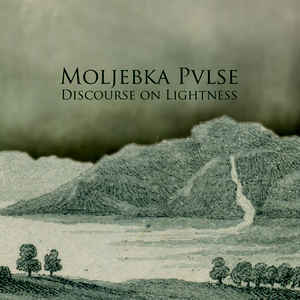 “Discourse On Lightness” is an invitation to embark on a mysterious sonic journey in search of a wide noise canvas. It’s a kind of fantasy trip, which is accentuated by numerous little- and sometimes subtle noises. + + + : This work only features 3 long-duration tracks. I like the slow progression running through these compositions and rapidly appealing for fantasy images and other dark stories. It’s a pure soundscape, which also reveals numerous relaxing passages. Music can be dark and yet relaxing. I especially like the final cut, giving you the impression to discover a soundtrack where you’ve to create your very own images. – – – : The main point with this kind of production often is that there’s less diversity. You get the impression walking through a tunnel without exit and that’s why you really need a visual support. Conclusion: “Discourse On Lightness” stands for an imaginary trip throughout an obscure universe animated by the simple magic and power of noises. Best songs: “A Field Guide To The Sunrise”.